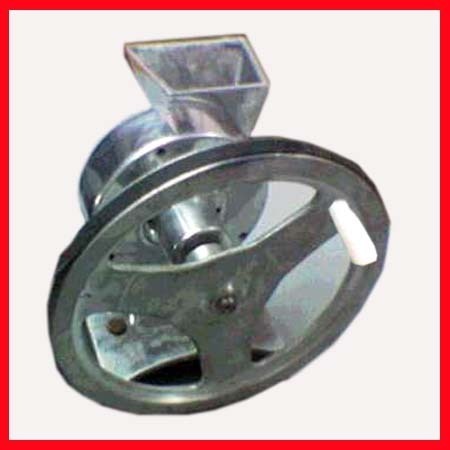 We are engaged in manufacturing a wide range of Almond (Badam) Pista Chips Machine. These are superior quality chips making machines, made by aluminum/brass & imported steel blade for lasting performance. Machines offered by us are used for garnishing & decorate sweets. Shrikhand & ice cream. Available in 4 models with and without motor, these can be purchased at affordable prices only from us.